I met Lodro Rinzler when he was teaching “Meditation in Everyday Life” at the Shambhala Center of New York City. He’s written several books, and his teaching writing is accessible as well as enlightening! I highly recommend his books, especially The Buddha Walks into a Bar. AC: How would you define meditation and what are some benefits? LR: The type of meditation that I traditionally practice and teach is known as “shamatha” or calm abiding meditation. There are many different types of meditation out there, but this is one that helps us become more present with what’s going on in our day-to-day life and with what’s going on in our mind. It helps us be more awake and show up for all of our daily activity. By training and being with something as simple as our breathing, we’re learning to be present with all the painful and the pleasurable aspects of our world. Is shamatha meditation something that you recommend people do on a daily basis? Yes. Ten minutes of meditation a day can actually be very helpful for people in terms of tuning in to what’s going on with them personally and then allowing them to actually be more present with what’s going on in the rest of their day. It doesn’t take a lot in terms of time investment to actually have meditation start to seep in to your bones and affect your day-to-day life so that you’re actually more present and kind and compassionate with others. What kind of things does meditation allow you to become more present with? Well, I think most people start to notice that after meditating for a couple of weeks or couple of months, they are more present with the people that they care about: their family, their friends, their partners as well as their work or wherever they spend a lot of their time. It is a very subtle sort of shift that happens for people where they start to say, “Oh, maybe I’m trying to show up to my life in a way that’s different than I have in the past. It feels like I’m more present for my work meeting. It seems like I’m actually more available when people call on me.” It’s a subtle shift and one that really is quite powerful for people. Feng Shui also creates subtle shifts. In your new book, "The Buddha Walks into the Office," you talk about meditation and your work. Can you tell us more about that? Meditation helps us on two fronts. One, how we can be more aware of who we are so that we are more discerning in the livelihood that we create. Two, how we actually start to show up for that livelihood on a day-to-day basis in a way that’s authentic and genuine and in line with the quality that we actually want to cultivate in our experience. Do you have a special meditation area in your home? 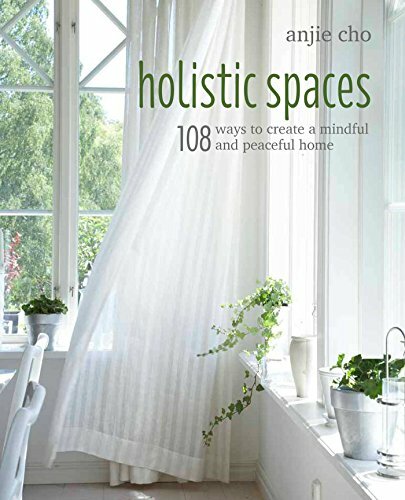 Do you recommend that readers create a special meditation area in their homes? Yes, I have a little corner in my home! I live in New York City, so it’s not like I have a spare bedroom or anything to devote, but I have a corner of my living room. It has a little shrine with an image of my Buddhist teacher, a statue that is an embodiment of wisdom, and Buddhist text that I admire. Many other little reminders also create a special environment and invite me, magnetize me to actually practice regularly. That’s something that I recommend for others. In the same way that when you get home from work tired and want to go to sleep, you wouldn’t want to create your sleep space each day. Instead, you would want that sleep space already there waiting for you so you can climb into bed and relax. The same can be said for meditation. Most people think, “Oh I’ll take a cushion from my couch or my bed and I’ll throw them down the ground and that will be enough.” But if you have to create your space for meditation every time you’re going to sit down to meditate, it’s a little bit of an obstacle. To have a dedicated meditation space is very important in terms of starting a meditation practice. Can you elaborate on the objects you have on your shrine in your meditation area? I recommend that people create an environment that’s inviting to them personally. There are very traditional items that one would put on a shrine if they want to have a Buddhist shrine, for example, offerings of generosity and other virtues that one wants to cultivate. But in its most simplistic sense, you could just put up a candle or two, an incense burner, a statue or an image that will magnetize you to the space. It really should be personal for you. I would say in a very traditional shrine, you would have an image or two of teachers that you admire. For me, I have a picture of my teacher Sakyong Mipham Rinpoche. I also have a picture of President Obama in a particularly vulnerable moment that I think is very moving. It speaks to those qualities of leadership that I want to develop. The shrine should be not only magnetizing and inviting to you, but also remind you of what you’re actually practicing for. In this case, with the Sakyong are qualities of kindness and presence. With the President Obama’s photo, it’s more vulnerability and strength. It should be personal. Build out a shrine that has meaning that you could then articulate to others, it shouldn’t just be a shrine because it looks pretty or because it might be helpful to have. Check in next Sunday for the rest of the interview where Lodro talks about his holistic space and the sacredness of human life from the Buddhist perspective! Lodro Rinzler is a teacher in the Shambhala Buddhist lineage and the author of the best-selling "The Buddha Walks into a Bar...", the award-winning "Walk Like a Buddha" and the brand new "The Buddha Walks into the Office." Over the last decade he has taught numerous workshops at meditation centers and college campuses throughout North America. Lodro’s columns appear regularly on the Huffington Post and Marie Claire online and he is frequently featured in Reality Sandwich, the Interdependence Project, Shambhala Sun, Buddhadharma, and Good Men Project. He is the founder of the Institute for Compassionate Leadership, an authentic leadership training and job placement organization, and lives in Brooklyn with his dog Tillie and his cat Justin Bieber.